Welcome to the FUNcube Dongle website. 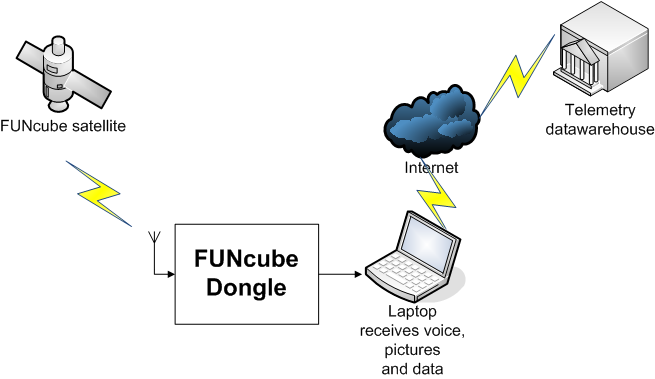 As part of AMSAT-UK’s FUNcube satellite project, the FUNcube Dongle is the “ground segment”, or a radio receiver designed to allow anyone to try their hand at reception of satellites like FUNcube anywhere on Earth as part of a global educational collaboration project collecting information from space. Similar to a USB TV Dongle, the FUNcube Dongle simple fits into your computer’s USB port. It’s compatible with many radio reception programs like Rocky, M0KGK, Spectravue and LinRad. The FUNcube Dongle also works with Windows XP, Vista and Windows 7 both x86 and x64. In addition, it is compatible with Linux and MacOS as it uses standard USB drivers already integrated into the operating system. There are two versions. The entry level FUNcube Dongle gives access to the satellite frequency band that FUNcube and some other satellites use. The Pro version gives unlimited access to the frequency range 64 to 1,700MHz apart from a gap between about 1,100MHz and 1,270MHz. It’s also all-mode: this means that it’s not just limited to narrow band FM reception. 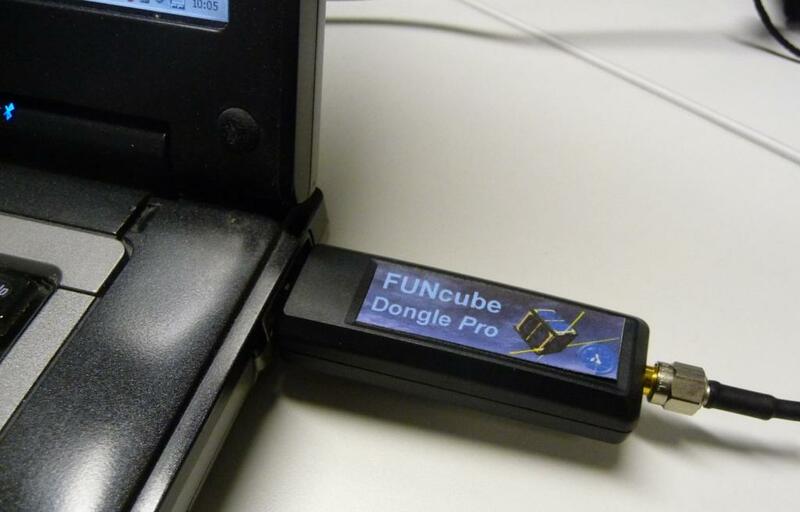 As well as data, the FUNcube Dongle will also recieve many other narrow band signals including AM, FM and SSB. It will even receive TV sound channels!